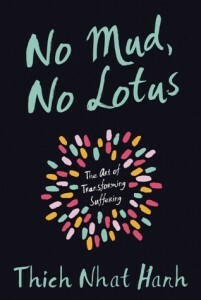 No Mud, No Lotus: The Art of Transforming Suffering, by Thich Nhat Hanh. Parallax Press, 2014. This short, easy to read guide offers practical suggestions, from a Buddhist perspective, on how to deal with the everyday suffering that arises for everyone. 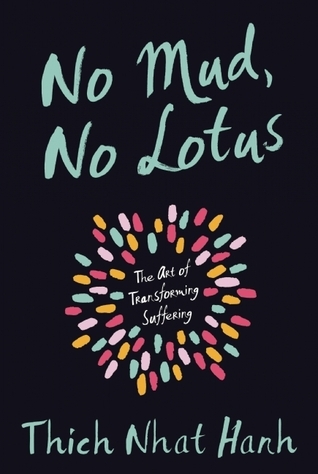 Nhat Hanh makes clear that it is impossible to avoid suffering, as that is part of living, but we can choose to keep it from overwhelming us. 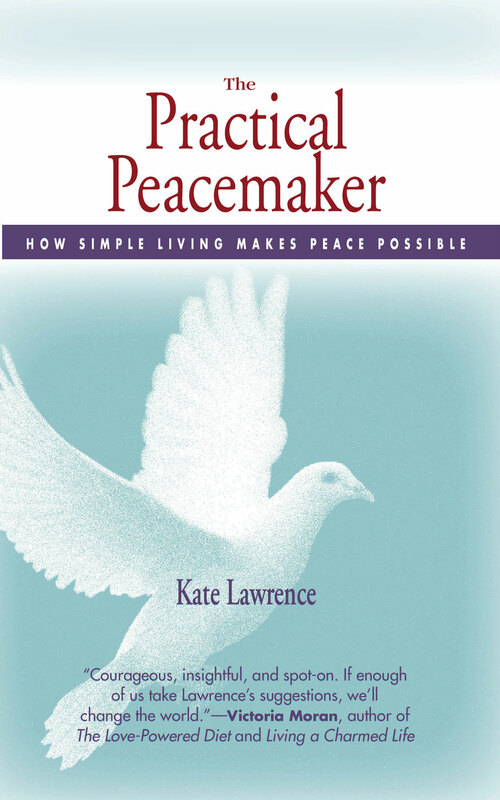 The book’s “Practices for Happiness” section includes breathing exercises, being present with strong emotions, practicing loving kindness toward ourselves and others, deep relaxation, mindfulness trainings and walking meditation. People caught up in stressful situations can find real support and encouragement here. The Modern Savage: Our Unthinking Decision to Eat Animals, by James McWilliams. Thomas Dunne Books, 2015. Once again James McWilliams proves that he is one of the most articulate thinkers and writers we have on the subject of how we treat animals used for food. Regarding so-called “humanely-raised” meat, he shows readers that chickens, pigs, and cows have emotional lives, suffer and do not want their lives cut short to provide food humans don’t need. It is not ethically acceptable to claim to care about them, give them a more natural life for awhile, and then kill them. 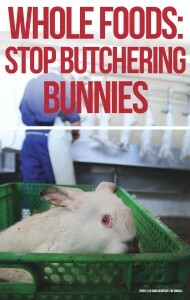 And in case you want details on typical slaughter procedures, that’s in here too. 5280 The Denver Magazine recently featured an article on “Everyday Environmentalists,” presenting over 40 ways to live greener. 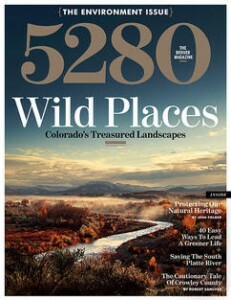 Pointing out that Coloradans are not as environmentally virtuous as we may think we are, the article featured excellent advice on such topics as home insulation, composting, gardening, biking–the usual and more. Some items were very detailed, such as the advice to buy a live Christmas tree instead of an artificial one, and then plant it outside. Readers who hike popular mountain trails were encouraged to go during the week so as to increase the likelihood that they will stay on the trail and minimize trail deterioration. Yes, yes, yes, I’m saying to myself as I read, but when do we get to the huge environmental impact of meat consumption? 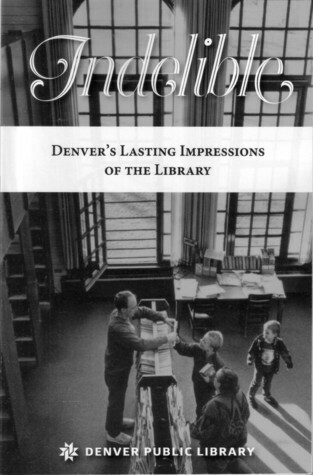 Indelible: Denver’s Lasting Impressions of the Library. Denver Public Library. Tattered Cover Press, 2014. The Denver Public Library, to celebrate its 125th anniversary this year, asked the community to submit short essays to be considered for inclusion in a commemorative book. The topic to write about was what you love about the library. I submitted an essay about the many ways my life has been enriched by DPL, from my finding there the book that first put me on the path of vegan activism, which led to my meeting and marrying my husband of 25 years, to my being hired as a DPL librarian where I worked until retirement, to saving me thousands of dollars over the years on books and movies. My essay was among those selected and is included in the book. I have good company between these covers: well-known authors and scholars, people looking for a better life and using library resources to achieve it, children and teens whose awareness of the world expands beyond what they’d previously thought possible. Many of the stories people share bring a lump to the throat, and remind readers of the vital importance and lasting influence of our public libraries. This Changes Everything: Capitalism vs. 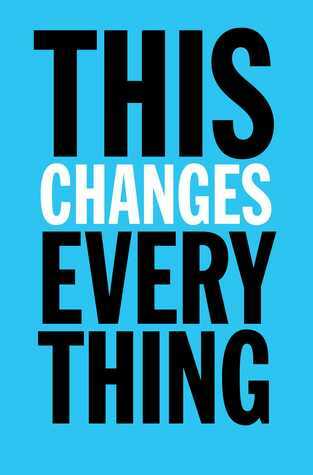 The Climate, by Naomi Klein. Simon & Schuster, 2014. Despite a serious omission (see below), I recommend this highly. Watch the inspiring book trailer here. Klein is objective, compassionate, a solid reporter and researcher, and one of our best commentators on politics. 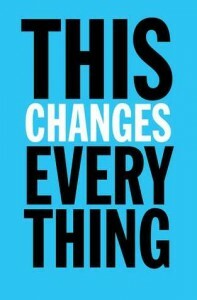 Anyone wanting a current overview of what’s happening worldwide about climate change will find here a thorough investigation and explanation, along with a consistently upbeat view of how the frightening current situation could be turned around. Time is very short if we are to keep global warming below 2 degrees C., but people are coming to understand that our leaders are not leading; grassroots groups are rising up around the world to stop extractive projects (fracking, mining, pipelines). I learned a great deal, which would have taken me countless hours to research on my own, on such subjects as Indigenous rights movements and their importance, civil disobedience actions around the world, geoengineering proposals, and much more. I had the chance to attend an advance screening of a new movie set to open this weekend. “The Theory of Everything” is the life story of physicist Dr. Stephen Hawking and his wife Jane. It is a tribute to Hawking’s determination to persevere despite being paralyzed (he has ALS), his wife’s courage in accepting and accommodating his handicaps, and an intimate look at the tender love between them. He had already received the diagnosis of his disease at the time they fell in love as college students, but she went ahead and married him anyway. 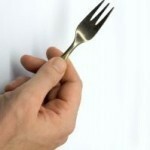 The film explores how their feelings change over time. We need more stories of patience and love in the face of adversity. 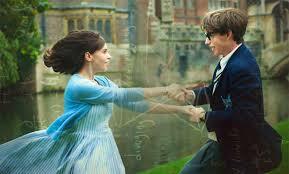 “Theory” is beautifully acted by Eddie Redmayne and Felicity Jones– watch the trailer here. 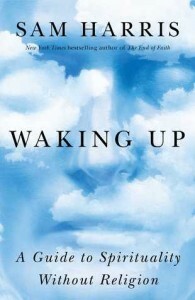 Waking Up: A Guide to Spirituality without Religion, by Sam Harris. Simon & Schuster, 2014. Harris covers highlights of his own inner journey and what we currently know about the nature of consciousness, concluding with comments on evaluating gurus, investigating NDEs, and drug use as a possible path toward enlightenment. Meditation practice can be helpful to everyone as a means of reducing the personal suffering brought about by constant distraction, and needn’t have any religious component. Harris’ dedication to exploring the self, his considerable experience attending meditation retreats–a total of two years, including some three-month periods–plus his background as a neuroscientist give the book an unusual and authentic flavor. Definitely worth pondering. This past week has seen not one but two climate change actions in Denver, both organized by 350.org. The first was to meet the train filled with people heading on to New York for the People’s Climate March September 21. We gathered in front of Union Station for speeches and singing, then went around to the back and watched the train come in at the platform. Several dozen climate activists got off and joined the rally, adding to the enthusiasm. I was able to hand out flyers and talk to some people about veganism. It was great to see so many others (about 250) who are as concerned as I am about climate change. Then Sunday, at the same time that the People’s Climate March was going on in NYC, a group gathered in Denver on the west steps of the capitol. Keith and I were pleasantly surprised to see more vegans there than we expected, several with additional signs, to amplify our presence. Each group represented there could have someone give a brief speech, so I took a turn standing front and center. I explained that over half of greenhouse gas emissions come from livestock agriculture, and urged the crowd to “make a difference every day with your fork.” The group applauded; overall, I felt more support for the vegan message here than I previously had among environmental activists. In fact, the lead speaker of the event commented, “You vegans are well organized.” After the speeches, the group marched in front of the capitol and down the 16th Street Mall downtown, chanting, waving signs and engaging passersby. 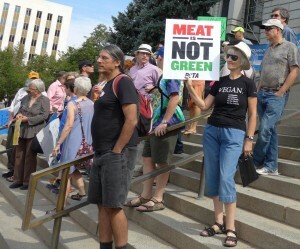 I was proud to take part in the Day of Action yesterday in Boulder to urge Whole Foods to stop selling rabbit meat. Rabbits are the third most popular companion animal; would Whole Foods start selling dog meat if some customers asked for it? I learned that, although Whole Foods does not permit cosmetic testing on rabbits for products sold in their Whole Body section, they slaughter the very same breed of rabbits for their meat department! “Pets are not food!” was heard across the country. Margo DeMello, president of the House Rabbit Society, has written a well-reasoned article on the issue. See these great photos taken at some of the 44 protest events nationwide at WF stores. Keith and I received an e-mail from Micah Parkin, the leader of the Colorado chapter of 350.org, asking for people to submit stories about local action to reduce greenhouse gas emissions. We submitted our story, which has now been published in their blog, and which we reprint below, with hyperlinks added.